In this issue of CCM Insight, we introduce ‘Administrator Managed Attachments’ – a new feature of Striata’s Integrated Response Management application that enables easy document administration for call centers. Striata’s Integrated Response Management Application enhances customer service by managing inbound emails through a logical workflow and by providing a consolidated view of the interaction history. Our simple, cost effective software can operate alongside voice management tools to help manage email correspondence more efficiently. The application removes customer responses from the inbox and places them into a ‘queue’ system that facilitates workflow management, standard responses and escalation based on business rules. The administration of the system is made simple through a web interface. Administrators can create new users, assign access and responsibilities, extract detailed performance reports and perform quality control checks. Through the same web interface, customer service agents can effectively manage inbound email, fax and text messages. The new feature, “Administrator managed attachments,” was released with Striata’s latest platform version. It is an administrator managed repository of documents that is made available to customer service agents to attach to outgoing customer emails. This reduces the need for them to be uploaded from different hard drives. Administrators can control and update documents when needed, thus reducing the burden on agents having to handle different versions. Reduces the risk of having incorrect or out of date documents being attached to outgoing emails, or the possibility of manipulation. Administrators can define controls and policies regarding how these attachments are used. 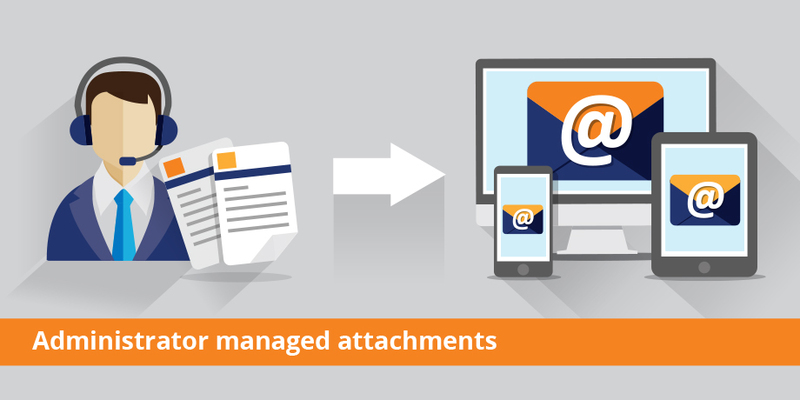 Allowing outgoing attachments to be managed at an administrative level provides more control and accuracy of the content and therefore results in a better customer experience. Want to know more about Striata’s Integrated Response Management Solution and how it will benefit your business?